Arrrrgh!!! – what do you mean red wine is no longer good for me!! 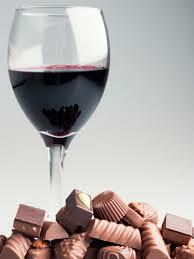 It was the news all drinkers and chocolate lovers wanted to hear – red wine and chocolate contain substances that are actually good for you! For those of us who looked a little harder at the evidence, it was not exactly robust (most of the figures were based on animal studies! )- nevertheless it made headlines and no doubt increased sales of red wine and chocolate, not to mention increased waist lines. Now – surprise surprise – the previous headlines have been replaced with the devastating news that they may have got it wrong. 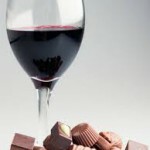 So now people will just have to find another excuse to drink wine and eat chocolate! That got me thinking – if people are so quick to drink more wine and eat more chocolate because someone says it’s good for you – why are so many of these same people resistant to doing other things that they already know are good for them? The answer of course is simple, they wont do anything unless it brings with it some kind of instant gratification. Let’s be bold here and address an honest truth, people will suffer pain later for an instant “hit” now. The same can be said for many self-harming methods, sadly those who cut themselves get some kind of gratification in the moment, however sad and wrong that sounds to those of us who just can’t understand that kind of behaviour, it serves a purpose in the moment and that’s what has to be addressed to stop the behaviour. Smokers enjoy the process of smoking in the moment without honestly thinking about the longer term consequence. I am all for living in the “now” and there’s numerous self help books that advocate that, but the exception is that when what you are doing “now” guarantees pain (maybe even death) in the future. I wrote about using food as a method of self-harming in THINK MORE EAT LESS and teach this is a principle in my own EASY SLIM seminars and workshops. Often the response is a sharp intake of breath, people are shocked that I compare their behaviour with more well known forms of self-harming. But – if you are repeatedly doing something that brings you pain, whether it’s physical, emotional or spiritual, that constitutes self harming. Of course the occasional social glass of wine and the occasional bar of chocolate are not going to have a drastic effect on your heath or your waist line, but these 2 seemingly small behaviours repeated over time certainly will. In coaching there’s a phrase “awareness is curative” and simply admitting that what you are doing is harming you, allows your unconscious mind (which is programmed to protect you) to give you alternative suggestions. It’s a vital first step in the process of change. If you would like to stop self harming behaviours and learn some practical techniques about how to change the way you think and feel about food, and yourself, and how to use your mind to change your body, then come along to CHAMPNEYS where I am starting my brand new 2 night and 4 night Mind Body Weight Loss retreats, and I will personally guide you through the process of using your mind to change your body. Alternatively you can read Think More Eat Less and follow the process using the techniques in the book and the FREE audio hypnotic downloads.